Ideas about what it means to be modern are soon dated. Not so long ago theories were in vogue claiming that a “scientific-technical revolution” was under way that would lead to a single type of government spreading throughout the world. Originally promoted by Daniel Bell in the 1950s, the theory of convergence suggested that the Soviet Union would evolve to become like the advanced industrial societies of the West. The idea was given a new lease of life during the Gorbachev era, when the long-awaited convergence seemed about to occur. In fact, as is now known and some suspected at the time, the Soviet Union was not evolving toward any kind of Western-style modernity. Lacking internal legitimacy, the Soviet state could not reform itself, and instead it collapsed. After a period of chaos a new system of government did emerge, but it was a hypermodern version of despotism rather than a modern democratic state. The convergence with the West that Bell and others believed was under way has not happened, and there is nothing to suggest that it will happen. Such are the vagaries of academic reputation that Bell’s name does not appear in the index of Francis Fukuyama’s new book. Yet in many ways Fukuyama is continuing Bell’s project, which was itself a continuation of earlier theories. There have been many attempts to show that only one kind of government is viable in modern conditions. Comte was confident that modern development could lead only to a type of hierarchical technocracy; Marx was convinced that so long as industrial society did not relapse into barbarism it would end in communism; Spencer was adamant that industrialism and laissez-faire capitalism would prove to be one and the same. Sidney and Beatrice Webb had no doubt that the future of civilization could be secured only by adopting something like the collectivism that existed in Stalin’s Soviet Union. Other theorists—including Hayek, who in later years revived a variant of Spencer’s crackpot evolutionism to argue that the free market was destined to spread throughout the world—could be added to the list. But the thinker in recent years who has been most prominent in claiming that modernization can have only one destination has been Fukuyama. Like earlier theories, Fukuyama’s proposes an end point of political evolution that accords with prevailing notions of progress. Comte, Marx, Spencer, the Webbs, and Hayek each claimed to have identified laws of social development that (without being entirely deterministic) impelled humanity in a specific direction. In every case, the direction was the one that the author of the theory viewed as the most desirable for the species. Perhaps it is not surprising that there should be such an unfailing coincidence of putative laws of social development with progressive political hopes. Thinkers who produce grand theories of history are no less provincial in their outlook than any other section of humanity, and it is only to be expected that they would imagine that their values should be those of the species at large—if not at present, then in the future that is unfolding. What is harder to explain is how these theorists could believe—as they all did—that science underwrites their faith that their values will prevail. Modern thinkers pride themselves on their objectivity. But if there are discoverable laws of social development—a large and problematic assumption—why should they conform to our changing conceptions of progress? If, like the laws that natural science aims to discover, these laws of development reflect objective features of the world, why should they be impelling humanity toward a better life? Few modern thinkers have entertained the possibility that social evolution might be moving in a direction that is thoroughly undesirable. (Joseph Schumpeter, who hated socialism but saw it as inevitable, is one of the handful who come to mind.) In any case, how could laws of history underpin human progress when views about what constitutes progress are so ephemeral and so divergent? Some human values are universal and enduring, but ideas of progress come and go like fashions in hats. Theories of convergence reflect disparate and incompatible ideals of human betterment. What all such theories have in common is that they have come to nothing. None of the regimes that was believed to be the near-inevitable end point of modern development has emerged anywhere in the world. FUKUYAMA SHOWS NO SIGN of being discouraged by this record of failure. The faith that the world is set to converge on a single type of government is central to his view of things, pervading this bulky and tiresome book of nearly six hundred pages, the first of two projected volumes. The same faith animated the celebrated essay that he published in The National Interest in the summer of 1989, called “The End of History?,” in which he proclaimed that “the universalization of Western liberal democracy” is “the final form of human government.” To any detached observer at the time, it was perfectly clear that history had not stopped but resumed: like the past, the future would be shaped by ethnic and religious conflicts and resource wars, while more complex types of ideological conflict would replace the cold war stand-off. Yet three years later, when Fukuyama published a book-length version of his claim, called The End of History and the Last Man, the question mark attached to the essay had disappeared. Like Sidney and Beatrice Webb, whose monumental eulogy to Stalin’s Russia, Soviet Communism: A New Civilization? (1935), appeared in later editions with the question mark removed, Fukuyama was completely confident that a new era in the history of humanity had arrived. 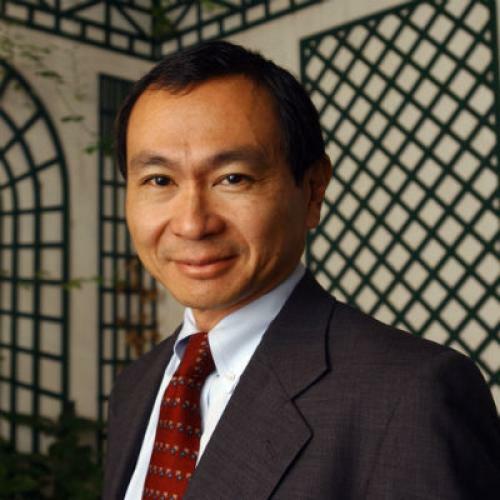 Ever since his original essay appeared, and was widely and witheringly criticized, Fukuyama has complained that his central idea has been wickedly caricatured. In the introduction to The End of History and the Last Man, he responded indignantly to critics who pointed out that history had not in fact stopped. When informed of Fukuyama’s writings, Margaret Thatcher is reported to have exclaimed, “The end of history? The beginning of nonsense!” For Fukuyama, Thatcher was laboring under a misunderstanding. He had never claimed that historical events were grinding to a halt. It was “history understood as a single, coherent, evolutionary process” that had come to an end. Nor had he asserted that there would be no more historical conflicts—he had always accepted that there would be plenty. But one type of conflict has ended, he insists: with the triumph of liberal democracy, the conflict over what is the best form of government has been resolved definitively and finally. Charting the development of the state, the rule of law, and accountable government, his new book maintains that together they define a universal regime: “A successful modern liberal democracy combines all three sets of institutions in a stable balance.” An idealized version of American government—this is the only regime that can be fully legitimate in modern conditions. It is a grandiose assertion, which only re-states, in more specific terms, the end-of-history thesis to which Fukuyama claims never to have subscribed. History—the history of modern politics, at any rate—largely consists of conflicts about what is the best form of government. The ideological rivalry of the cold war is only one example among many such antagonisms. The French Revolution sparked a contest between two rival versions of democracy, the first a version of limited government and the second a vehicle for popular will. (From one point of view, the present regime in Iran can be seen as a popular theocracy of a kind whose outlines are sketched in the writings of Rousseau.) It is often conveniently forgotten, but there were many in the interwar years who viewed fascism and communism as legitimate alternatives to the failing regime of liberal capitalism—a position defended, with some qualifications, by James Burnham in 1941 in The Managerial Revolution: What Is Happening in the World. At the start of the twenty-first century, meanwhile, Islamists claim to be advancing a political and social model that rivals Western modernity—an extremely disputable thesis given that so much in Islamist thinking has been shaped by Leninism, but one that will doubtless continue to be advanced. And while not claiming to be a universally applicable model, the post-Mao regime of state-managed capitalism in China is increasingly coming to be seen as a viable alternative to Western free markets. Unless one defines political legitimacy so that it means nothing other than liberal democracy, the best system of government remains as contested as it has ever been. Plainly, ideology has not ended. In arguing that the battle of ideas came to an end with the Western victory in the cold war, Fukuyama was mistaking a contingent political victory for a universal law of history. In his essay, he had described the end of the cold war as the “unabashed victory of economic and political liberalism,” when it was simply the defeat of the Soviet state—a thoroughly good thing, but not one that left liberal democracy the only type of government that would in future be contemplated or accepted as legitimate. The contrary was more nearly true. Since it meant the end of any political role for Marxism—in Russia, as elsewhere, a Westernizing ideology—the fall of communism signaled a rejection of Western models, including liberal democracy. THE NOTION THAT ONLY one type of government can in the future be legitimate is as far-fetched as the idea that history has literally come to a halt. To be sure, it is not a thesis that can be falsified, since it is not really an empirical claim. In The Origins of Political Order, Fukuyama is explicit that he is applying evolutionary theory, declaring that “the overall framework for understanding political development presented here bears many resemblances to biological evolution.” He acknowledges that there are “many important differences between biological and political evolution: human institutions are subject to deliberate design and choice, unlike genes; they are transmitted across time culturally rather than genetically: and they are invested with intrinsic value through a variety of social and psychological mechanisms, which makes them hard to change.” That is all very good, but it misses the main point about Darwinian evolution, which is that it is a process of drift, with no purpose or direction. If the development of human society is an evolutionary process, it is one that is going nowhere in particular. Actually, the idea of social evolution is not much more than an ill-chosen metaphor. As refined by later scientists, Darwin’s theory posits the natural selection of random genetic mutations. In contrast—despite all the fashionable chatter about memes—no one has come up with a unit of selection or a mechanism through which evolution operates in society. Judged by the standards of science, theories of social evolution are not theories at all. As a little intellectual history shows, the true provenance of Fukuyama’s thinking is not science but faith. The formative influence on Fukuyama has been the ideas of the Russian Marxist émigré Alexandre Kojève, as he has acknowledged. Applying a Hegelian perspective to late twentieth-century developments, Kojève concluded that a single homogeneous regime was coming into being throughout most of the world, but it was a bureaucratic variant of capitalism rather than anything anticipated by Marx. The parallel with Fukuyama’s idea of the triumph of “democratic capitalism” is plain. A more striking echo of Kojève can be heard in the idea of the end of history itself. However it is glossed, the end of history can only be understood as a version of Christian apocalyptic myth. Kojève’s doctoral dissertation was a study of the Russian religious writer Vladimir Solovyov, who in 1899 wrote a book called War, Progress, and the End of History, an apocalyptic vision of the coming century. Whether Fukuyama was aware of Kojève’s debt to Solovyov is unclear, but by appropriating Kojève’s account of global capitalism as a kind of end-time he was reproducing ideas that were shaped as much by Russian religious thought as they were by Hegel’s oracular philosophy. It may seem odd to find anything that smacks of religion in Fukuyama, whose writings have the flat secular monotone found throughout contemporary social science. He criticizes thinkers such as the Chicago economist Gary Becker for presenting “a wholly materialist account of the function of religion,” but when Fukuyama discusses religion it is in utilitarian or functional terms, as a kind of social glue. He writes blandly that religion “is a source of social cohesion that permits human beings to cooperate far more widely and securely than they would if they were the simple rational and self-interested agents posited by the economists.... Religion solves this collective action problem by presenting rewards and punishments that greatly reinforce the gains from cooperation in the here and now.” Viewing religion in this way as a solution to a problem in game theory is an unwitting parody of secular thinking. At the same time, Fukuyama is like many other secular thinkers in deploying a conceptual framework that makes sense only in a religious context. Only someone reared in the culture of Western monotheism could take it for granted that history has any kind of end point. The classical historians of Greece and Rome made no such assumption, and neither did the philosopher and historian David Hume, who forsook the intellectual inheritance of theism in order to adopt something more like the worldview of pre-Christian Europe. In contrast, and again like so many secular thinkers before him, Fukuyama uses the language of science to promote a teleological view of history. Smuggling purpose back into history by the back door of an ersatz version of evolution, his overstuffed book presents the development of political order in teleological terms as a grand march from chimpanzee hierarchies to Anglo-Saxon government. Moving from the concentration of power in ancient China to the weakness of the state in the Indian subcontinent (the “Indian detour”), it is not long before he arrives at the grand finale: the emergence of the rule of law and accountable government in Europe, the Glorious Revolution in England, and the transmission of this achievement to America. It is a familiar story, and Fukuyama is clearly anxious to distance his account from “early evolutionary theories” that “posited a relatively linear and rigid progression of social forms, in which one state of development necessarily preceded the one following.” He is keen to avoid “the pitfalls of what is called ‘Whig history.’” But like the eighteenth-century English Whigs, for whom the growth of English liberty was divine providence in action, Fukuyama cannot help thinking of the system under which he happens to live as the preordained goal of human development. “There were ... other paths that states in Europe took to get to the same place where the English ended up,” he concedes--citing Denmark as an example. But while the path may be winding, the journey’s end is forever the same. If Fukuyama has read Hume’s History of England, where the great Scottish skeptic shows how English freedoms came about as a result of a succession of historical accidents, there is no sign of it here. History moved more rapidly in China, where the foundations of a modern state were laid down many centuries ago. Fukuyama’s discussion of Chinese development contains some flashes of insight. “Dynastic China did not have a rule of law any more than Communist China,” he writes. “On the other hand, imperial China in normal times may well have had ‘good enough’ property rights at a local level to promote agricultural productivity up to at least the frontiers of then-existing technology.” As a corrective to the economic orthodoxy that sustained economic growth can occur only against a background of the rule of law and well-defined property rights, this is an illuminating observation. After all, post-Mao China has undergone the largest industrialization in history without these institutions. For Fukuyama, however, this was possible only because China was--and remains—at an early stage of development. So China joined the march to modernity while India languished on the sidelines—and yet China has also failed to become modern. Discussing the unification of the country in the Qin Dynasty some two thousand years ago, Fukuyama asks rhetorically, “Why didn’t political modernization lead to modernization in the economy and society after the Qin unification? The emergence of a modern state is a necessary condition for intensive economic development, but it is not a sufficient one. Other institutions needed to be in place for capitalism to emerge.” Unsurprisingly, the “other institutions” that were needed are those that emerged in the West: “The capitalist revolution in the West was preceded by a cognitive revolution in early modern times that created the scientific method, modern universities, technological innovations that produced new wealth from scientific observations, and a system of property rights that incentivized people to innovate in the first place.” It is obvious, then, why political modernization in China was not followed by economic modernization: the country failed to set out on the path that led to our modernization. It neglected to choose the Western path. There are many lacunae in Fukuyama’s long but simple tale. There is hardly any discussion of Japan—an odd omission, since from the 1870s onward the country can reasonably be described as achieving the first successful industrialization outside of England, the United States, and Germany. The reason for this neglect is obvious: Japan modernized but did not Westernize. While it borrowed from Western countries, these borrowings were grafted onto a society that remained itself, and different from the West. By 1905, Japan had built an industrial base that enabled the Japanese navy to destroy two-thirds of the Imperial Russian fleet in the battle of Tsushima—the first occasion in modern times that a European power had been defeated by a power that was not Western. Earlier theorists considered the Japanese example in some detail. It is one of the central cases examined in Barrington Moore’s Social Origins of Dictatorship and Democracy: Lord and Peasant in the Making of the Modern World, a study of modernization that remains remarkably fresh. Fukuyama ignores the Japanese example because it does not support his belief that China, India, and other fast-emerging countries can modernize only by adopting our models. The possibility that these countries might be able to devise humanly successful forms of modernization of their own is not seriously considered, when in fact it is the great experiment of our time. NOR DOES FUKUYAMA explore the possibility that the system he regards as the only sustainable model of modernization may be in decline. For Fukuyama, decline is a concept that only ever applies to other people. While other regimes rise and fall, democratic capitalism faces challenges that can always, in principle, be overcome. We will have to await the projected second volume for Fukuyama’s account of the recent financial crisis, which has left the gridlocked American political system, together with the paralyzed institutions of the European Union-supposedly universal models for political development—looking rather like dead ends. Whether this predicament will eventually be resolved by imaginative political leadership, or by more fundamental upheavals, cannot at this point be known. But whatever the outcome of the current crisis, we can be sure the next installment of Fukuyama’s theory will be no different in its essentials from the first. For with all its trappings of stodgy erudition and leaden academic prose, The Origins of Political Order is at bottom just a statement of faith. The trouble with political faith is that it does not go with admitting mistakes. Falsification may not be, as Popper claimed, the essence of science, but it is a necessary intellectual discipline. In matters of government it is also a moral duty, since more is at stake there than the fate of a theory. Unfortunately, in political thought the aim of inquiry is rarely to test basic beliefs. More commonly it is to insulate those beliefs from refutation by events. This, in the end, is the role of Fukuyama’s work. If The End of History and the Last Man gave a theoretical spin to the triumphal delirium that followed the fall of the Berlin Wall, The Origins of Political Order serves as a kind of Prozac, which when consumed in large enough quantities offers to calm the jagged nerves of Western leaders and opinion-formers. At times Fukuyama has cautioned against policies that seek to accelerate the spread of liberal democracy by military means. His book After the Neocons: America at the Crossroads (2006) was a useful critique of the hubris that animated neoconservative thinking on American foreign policy, particularly in connection with Iraq. But Fukuyama’s reason for criticizing the neocons was not that he accepted that the world cannot be made over in an American image. It was that the policies of regime change were unnecessary, since in a slow, faltering, but ineluctable process, the world was already making itself over in America’s image. The present volume is a vehicle for the same soothing message. But in a time when the world is so full of surprise and danger, an intellectual sedative is not what is needed. It is merely a theoretical justification for a triumphalist dream. John Gray is emeritus professor of European thought at the London School of Economics and the author, most recently, of The Immortalization Commission: Science and the Strange Quest to Cheat Death(Farrar, Straus and Giroux). This article appeared in the December 1, 2011, issue of the magazine.